ALLERGIC REACTION RESCUE: Helps to alleviate allergic responses from food, environmental exposures or reactions that induce redness, itching, swelling, heat, skin blotching or sudden headache. 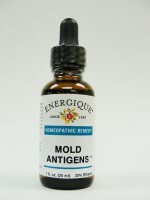 ANIMAL ANTIGENS: For temporary relief of allergies due to animals. BITING INSECT: Relief of allergies due to biting insects. Antigens of Mosquitoes, Fleas, Bedbugs, Lice, Wasps, Spiders, Ticks, Chiggers, Ants, Fire Ants, and Bees. COFFEE, TEA & CHOCOLATE: Relief of allergies due to coffee, tea, and chocolate. DAIRY: Relief of allergies due to dairy products. GRAIN & SEED: Relief of allergies due to grains and seeds. VEGETABLES ANTIGENS: May temporarily relieve symptoms associated with vegetable allergies. WEED & GRASS: Relief of allergies due to weeds and grasses.